In this paper, we explore the relationship between economic conditions and disability insurance (DI) participation in Spain during the Great Recession. Using individual-level longitudinal data, we show that DI awards are procyclical, contrary to the countercyclical behavior found in most of the previous literature. 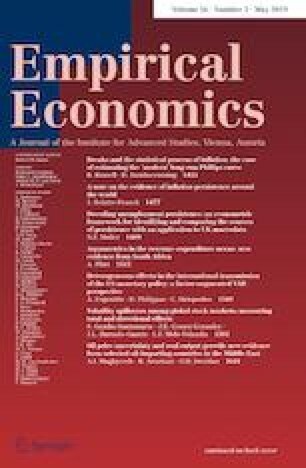 We show that DI applications are not responsive to the business cycle and that economic conditions have no effect on the composition of new DI awardees, suggesting that DI participation in Spain is not driven by partially disabled individuals resorting to the DI program as a result of bad labor market conditions. Furthermore, we argue that the procyclical behavior of DI awards may be driven by an informal increase in screening stringency and by an improvement in the health status of the population as a result of worse economic conditions. We gratefully acknowledge financial support from Recercaixa for the 2014 project “Promoting the labour market integration of disabled workers: A policy evaluation exercise for Spain” and from the Spanish Ministry of Economy Grant ECO2014-52238-R. We thank participants at the XXXV Spanish Health Economics Congress held in 2015 in Granada, the CRES-UPF seminar series and the 2015 “Health at Work” workshop held at Université Paris-Dauphine for valuable comments.